Interested in the seal for a storage box as well. I know this is a late reply but I just started working on my truck a few months ago. This is a really nice thread. 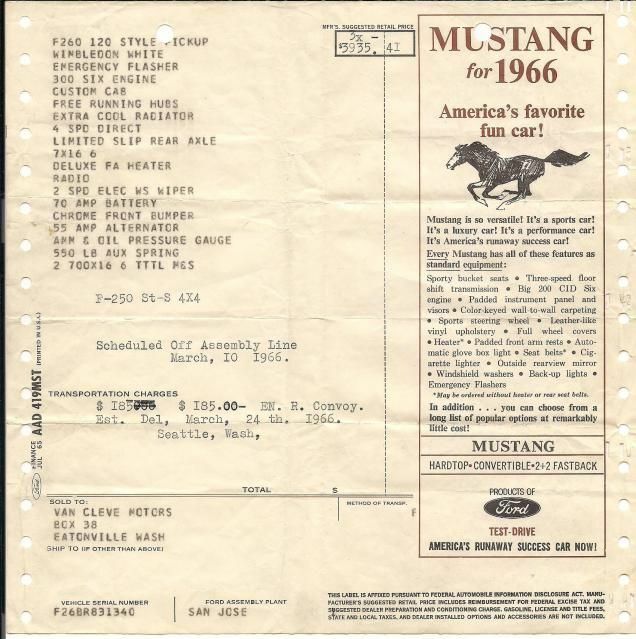 How rare were these boxes in 1965 and 1966. Is the longbed box larger than the shortbed and are there bracing/bracket differences as well? I think the longbed tool stowage compartment boxes are not too rare. Shortbed ones, more so, yes. 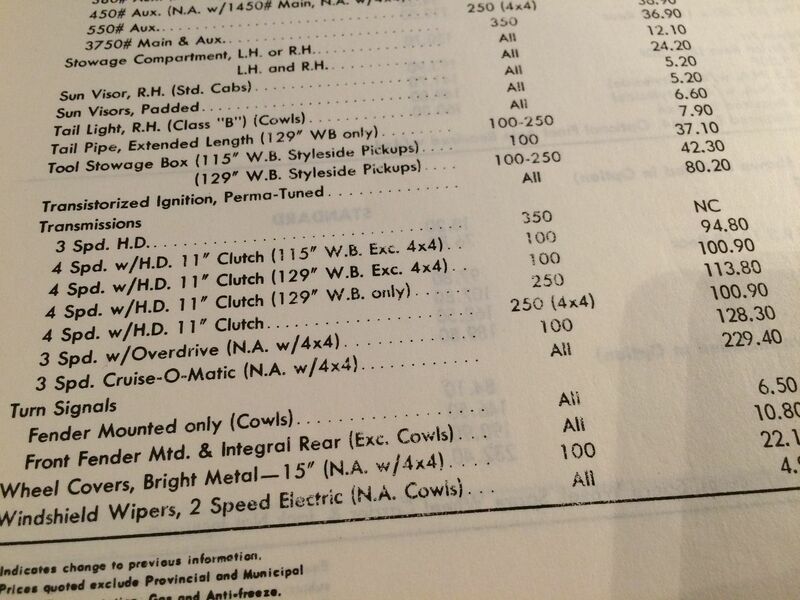 And these are the prices for the compartments themselves, when ordered with a truck. 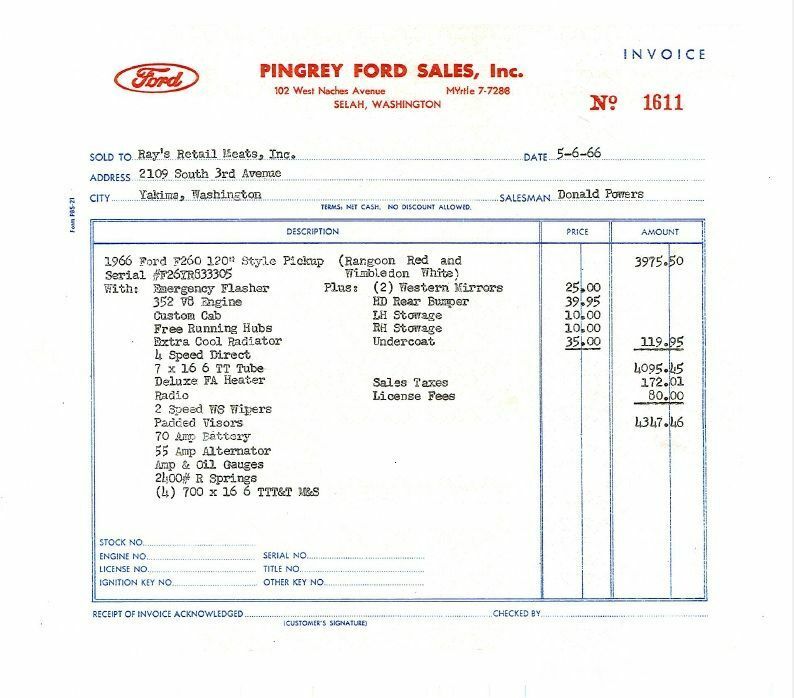 You couldn't get any level of Camper Special package or the MX Cruise-O-Matic or a bedside tool compartment with an F250 4x4 but here's the prices for the two trucks that I have the invoices for. I wish I had the invoice for my 2WD because it had the Cruise-O-Matic, Deluxe Camper Special, Ranger (implies Custom Cab), Radio, custom paint, 352 engine - about everything except power brakes and steering. That's cool that you have those papers for two of your trucks.